The Cleveland Browns addressed their two biggest needs in the second round with one selection that had a player available that I preferred and the other that saw Cleveland take the exact player that I was hoping for them to tab. Defensive end Jabaal Sheard of Pittsburgh is a pass rushing end that was the Big East's defensive player of the year last season.My opinions on the Big East is well known,but Sheard is the type of long armed,speedy end that the Browns GM Tom Heckert loves to draft. 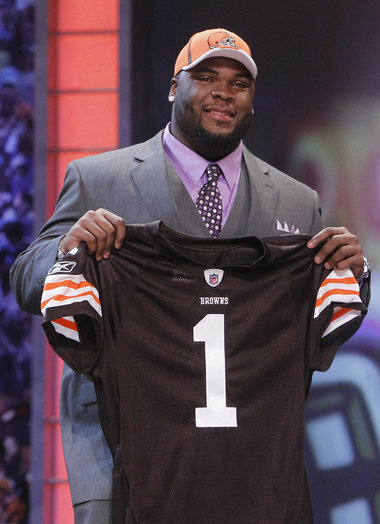 Sheard became a Brown with the first of the two second rounders at number 37. I still would have preferred Da'Quan Bowers of Clemson,but apparently the questions about Bowers' knees were a issue for the Browns,despite their public protestations about them not being a factor in their evaluations of Bowers. If the Browns had Bowers down their board for those reasons,then I definitely agree that Sheard was the best defensive end available with this pick. Sheard is just at 250 pounds,so I am sure that Cleveland will want him to bulk up in the weight room,but with 9.5 sacks last season,Sheard looks to be the pass rusher that the Browns so desperately needed. I had written earlier today that I was hoping for one of two receivers with the Browns second of their two second round picks either Titus Young of Boise State or Torrey Smith of Maryland. I really didn't think Young would last that long and he didn't going to the Lions at 44,but I thought there was a chance for Smith at 59. Smith possesses the straight line speed that the Browns lack,but Baltimore nabbed Smith with the pick before the Browns. However,the third player on my list that I didn't mention was still available in North Carolina's Greg Little and for a rare occasion,the team picked my guy and selected Little. Little didn't play in 2010 as part of the North Carolina agent scandal,but physically,Little is almost right off the template for the perfect West Coast offense receiver. 6'3,a good leaper,excellent hands and a guy that has the kind of YAC (Yards after catch) that makes one drool. Little also was a good enough athlete that he spent time for the Tar Heel hoops program,which isn't exactly Hofstra as far as basketball goes. If Little is that great,why did he fall to round two? The reports are that besides missing the season,Little can be a bit emotional and needs to mature a bit. I'll take that chance in this spot and go as far to say that the Browns may have gotten the third best receiver in the draft,if Little lives up to his physical abilities. All and all,I like the Sheard pick and I love the Little selection. Cleveland will have six selections tomorrow-2 4's (theirs and Atlanta's) a 5,2 6's (theirs and Denver's) and a 7 near the final spot of the draft. 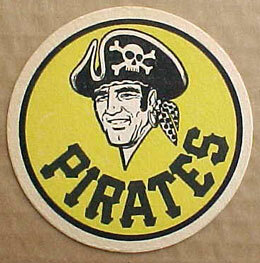 I missed yesterday afternoon's Pirate loss to the Giants due to work meetings,so I don't have much to say there. Pittsburgh is in Colorado for the next three games and since the starts preclude getting finished in time to take the tape to work,coverage is unlikely until Sunday's game. I would have been on last night with the Browns first round pick,but the trade moved them so far down that I was at work when they selected. I hope to be able to post tonight on both of the Browns second round picks before I leave the World Headquarters this evening. The Cleveland Browns saw the players they liked best go before them and decided on a bounty of picks from the Falcons as Cleveland dropped from six to twenty-seven in the first,added Atlanta's first and fourth this year and their first and fourth in next years draft for the trouble of dipping so low in the round. Cleveland then swapped their third rounder to Kansas City to move up from 27 to 21 and selected a surprise on the surface in Baylor defensive tackle Phil Taylor. I was disappointed at first that the pick was not the falling Da'Quan Bowers,but Taylor makes a lot of sense,which I will get to shortly. But first Bowers is still available for Day two,the Browns pick fifth today,if somehow Bowers drops to Cleveland and the Browns nab him,I will be ecstatic! Despite the knee issues,Bowers has the best potential of any defensive lineman in the draft and I am more than willing to take my chances in round two. I was more than willing to take them at 21,so crossed fingers for Bowers later today. 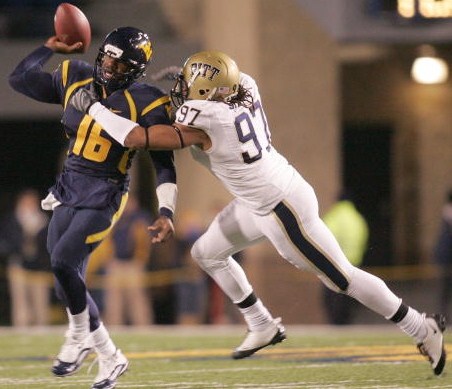 Phil Taylor is huge at 335 lbs and when I saw the clips,the first thing that I thought of was this-this guy reminds me of Casey Hampton,the standout DT for Pittsburgh. Taylor and Ahtyba Rubin instantly upgrade the Browns run defense with two huge run stuffers and in the division with Pittsburgh and Baltimore,one had better stop the run. Defensive end might have been a bigger need area,but defensive tackle hopefully has now become a team strength with the addition of Taylor. Taylor will not give you the pass rush of higher rated tackle Marcell Dareus or Nick Fairley,but he is going to be much harder to move against the run than those guys and I like that,especially since I am very tired of watching Steeler and Raven guards bully around the lighter defensive tackles favored by Eric Mangini. The main issue that I have with Taylor is not picking him,it is moving up and losing a third rounder for him. Looking at the teams between 21 and 27,I didn't really see a match for him in that range. It seems like Cleveland gave away a pick,but sometimes you want to make sure you have your guy and the price has to be paid to be sure to land him. I like the thinking and I'll like it even more with a possible addition of Da'Quan Bowers as the Browns pick at 37 and 59 in round two and do not (currently) own a third rounder. My wish list for today? 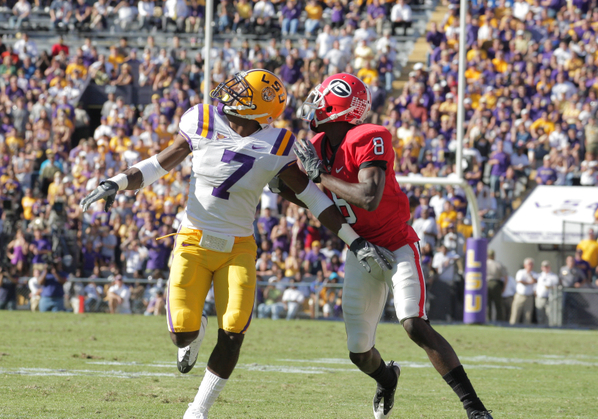 59: Either of these two wideouts would be great-Torrey Smith Maryland or Titus Young Boise State. Give me Taylor,Bowers and your choice of the two WR's and I'll be sky high! 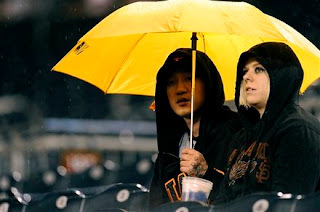 Thanks to Teddy and a strong 3:30 AM thunderstorm,I now have time to hammer out a recap of the Pirates 2-0 blanking of the San Francisco Giants. James McDonald earned his first win of the season with six shutout innings and Joel Hanrahan fired the ninth for his seventh save. The Giants leave town after a 12:35 matinee that sees them start former Pirate (and awful one at that) Ryan Vogelsong. Now,there is a name that I would have bet I would not have seen in Pitching Matchups again! 1) James McDonald looked like the pitcher that finished 2010 and not the double digit ERA hurler from his first few starts. After working his way through the first two innings and keeping runners in scoring position from scoring,McDonald was downright dominant during the rest of the game and I thought it was through his curve. The curve was baffled the Giants wasn't the 12 to 6 curve across the plate,rather it was the curve down and away out of the zone that made McDonald so effective. 2) The Pirates caught a break with the first run of the game on Chris Snyder's RBI blooper as Aaron Rowand was playing a bit too deep. Had Rowand been playing a normal depth,Snyder would have been out and maybe Neil Walker doesn't score on a tag up. 3) Brandon Wood started at short in place of Ronny Cedeno,who Clint Hurdle benched for jogging up the up on a grounder in the loss on Tuesday. Could Cedeno become "joggin' Ronny II"? 4) Steve Pearce started at first and hit the ball solidly in all three at bats,two of them being base hits. Could Pearce become a regular,at least against lefthanders,which he murders? 5) John Bowker was designated for assignment to make room for the incoming Xavier Paul. Bowker would have to clear through waivers in order to be sent to Indianapolis. 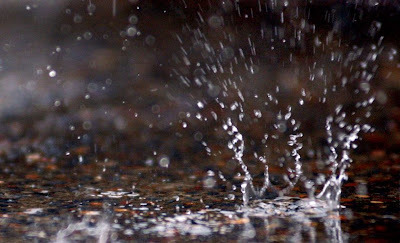 6) Jameson Taillon's West Virginia debut was rain shortened against the Hagerstown Suns with Taillon allowing a run on three hits over two innings and a tornado watch. Taillon was clocked at 97 and walked Bryce Harper in their only head to head battle. 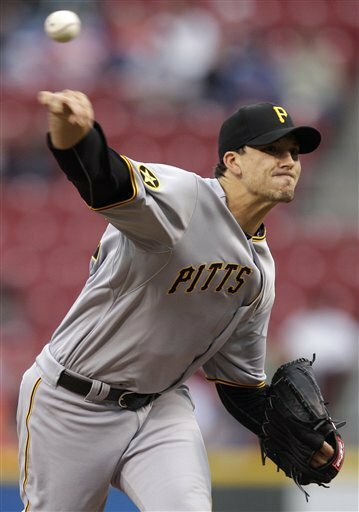 7) Now that Ryan Vogelsong has returned to face the Pirates,what terrible former Pirate pitcher should be your pool entry in worst pitcher to leave Pittsburgh and unlikely to return derby? I think Bryan Bullington (now in Japan,where Vogelsong was for a few years) looks like a promising candidate-If he pitches well there. The Cleveland Browns are playing the draft game well,as they discuss trading down and gaining picks as well as discussing various players that they have interest in. As we discussed earlier,the main two positions of need are along the defensive line and at wide receiver,but could the Browns avoid taking the best player in the draft,if available at the sixth pick? That player would be LSU corner Patrick Peterson on our board. Peterson reminds me of former Steeler and Hall of Famer Rod Woodson as I think the Browns could get several pro bowl level seasons from Peterson on the corner and then several more with a shift to safety later in his career. If Peterson is there at pick six and the trade up offers are not enticing,do the Browns take Peterson and team him with Joe Haden for the next ten years despite their deficiencies on the D-line and at wide receiver? A.J. Green of Georgia is the top pass catcher with Julio Jones of Alabama close behind Green. There is a huge drop from Jones on down,so if the Browns do not tab one of the pair,the odds of the Browns improving their pass catchers immediately drops off strongly. I like Green better than Jones and if Green is there,Cleveland needs to make that move. The Browns could trade down to maybe 10 or 11 and still possibly land Jones,but no guarantees on that. A player that I like a lot that could be available in round two,if the Browns go DL in round one is Pittsburgh's Jonathan Baldwin.Baldwin might have been a top 15 pick in next year's draft,had he stayed at Pitt. Cleveland's top need is defensive line,which is fortunate as that is the spot of the most depth in the draft. Alabama DT Marcell Dareus will likely be off the board as the safest pick,but the other main talents will be there for the Browns-warts and all. Auburn's Nick Fairley was dominant last season,but not heard from previously and didn't make tons of friends with dirty play. Robert Quinn of North Carolina missed last season with agent difficulties and has a benign brain tumor to boot.Da'Quan Bowers of Clemson is the best of the bunch in my opinion at his peak,but comes with a high risk with a knee that some think will shorten his career. Wisconsin's J.J. Watt looks to me to be more of a 3-4 end than in Cleveland's new 4-3 and I am not sure that the six pick is low enough for two players that I like,but not this high in Purdue's Ryan Kerrigan and Iowa's Adrian Clayborn. If Cleveland goes green in round one,count on round two going here. I don't see either Kerrigan or Clayborn still being around,but if they are-I would love to see Cleveland grab one of them. Second round possibilities that I like include Iowa's Christian Ballard,Ohio State's Cameron Heyward,Texas' Sam Acho and North Carolina's Marvin Austin,who with the proper coaching and motivation could be among the best in this draft. Austin would be a risk,but with a massive reward. The Browns could use a mid round linebacker with the questions on D'Qwell Jackson's health and two that I love are Michigan State's Greg Jones and Nevada's Dontay Moch. Jones is one of those backers that drops every year due to size or speed concerns and then he beats your brains out for the next ten years,while Moch is the fastest linebacker in the draft and I think could be huge off the edge. Moch strikes me as a perfect Steeler type pick and I would be thrilled to see the Browns draft either of these guys. Cleveland could use a change of pace back from Peyton Hillis and Montario Hardesty and with the West Coast offense in vogue,he better be able to catch the ball. Two that fit that bill and will not go off the board too early are Oklahoma's Demarco Murray and Syracuse back DeLone Carter. I would also be in favor of Wisconsin bulldozer John Clay,but I don't see the Browns going that direction as Clay is similar to what the team already has at back. Cleveland will also likely take a developmental player at tackle or guard and maybe a safety as well. Back tomorrow with the pick,IF I have time coverage of the Pirates 2-0 win over the Giants tonight. I thought about how I wanted to do this and decided on two smaller posts,one which will look at the players that might be available to the Browns and the other which looks at what Cleveland needs position wise in the draft. I'll start with the team needs and there are many. Almost too many to choose from,but I'll try to cover them anyway. On the offensive side of the ball,one need stands out above all-Wide Receiver. Eric Mangini's use of 2009 second rounders on Brian Robiskie and Mohammed Massaquoi has not panned out and although I am not ready give up on either player,especially with the change in offensive philosophy,the reality is that neither player is going to be a game breaker. The Browns will use an early round pick at this position,the question is will it be round one,two or three? Mike Holmgren has had one consistency in the draft since his days in Green Bay-pick a quarterback sometime in the draft every year. That not only keeps the corps young,it also pays dividends down the road with being able to move some of those players. Just look at the many backups to Brett Favre that eventually were moved for high picks in Green Bay without proving anything. Considering the Browns likely do not want to go through another season with both Seneca Wallace and Jake Delhomme backing up Colt McCoy,one of them will have to go and the third stringer will likely come from this draft. Running back might be another late round target considering the lack of depth at the position after Peyton Hillis. The Browns are likely counting on 2010 second rounder Montario Hardesty to return full strength,but his history with knee issues make that a dicey gamble and Mike Bell showed little in the tank after being acquired from the Eagles. With those three being the entire RB group,a back might be a possibility. The offensive line is solid,but a right tackle might be a nice idea since the team wised up and released John St.Clair.Floyd Womack plays tackle better than guard and a healthy Shaun Lauvao could slot in at right guard,but a tackle to develop behind the ten year veteran Womack would be a smart decision to bring in. I don't see the Browns going after a tight end with Ben Watson and Evan Moore returning unless they need a power blocking type for short yardage situations.. The Browns have needs all along the defense,most notably along the defensive line where the shift from a 3-4 to a 4-3 defense leaves the Browns very short at the depth chart along the line. With the exception of Ahtyba Rubin,who will fill one defensive tackle spots,the team is loaded with aging injury riddled veterans and practice squad fodder and this will need to be addressed with at least a high pick along with another selection sometime during the draft as well. The Cleveland linebackers are veteran laden and solid with Scott Fujita,Chris Gogong and D'qwell Jackson as the starters. If Jackson can return from missing almost the last two years,the linebackers look decent enough,if not spectacular. A pass rushing specialist could be a thought,if Matt Roth is not brought back. The secondary improved last year with top pick Joe Haden at one corner,but Sheldon Brown looked more suited to a safety move as the season progressed and Eric Wright had another disappointing season. T.J. Ward played well as a hitter at one safety,but Abram Elam has never impressed me much at the other position. Mike Adams fills well as a nickel back,but the Browns could use help here as well,especially at corner,where I think Brown is getting past his expiration date on the island at corner. Phil Dawson and Reggie Hodges are entrenched as the kickers and don't look to have strong challenges. This is not a list of what positions I would draft in order,just a list of needs from most important on down. Since I missed the Pirates 4-2 win on Monday over the Nationals,I'll be using this post to cover that and last nights 10 inning 3-2 loss to the Giants. Paul Maholm (1-3) was the winner against Washington with Joel Hanrahan notching save six on the campaign. 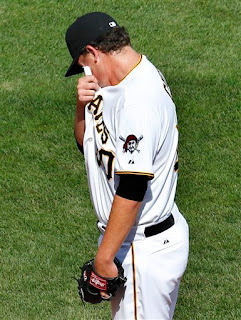 Hanrahan was the loser against the Giants (0-1) with Garrett Jones (4) hitting the only Pirate homer over the two games. 1) Paul Maholm was strong in his first win of the season,Maholm pitched seven innings and retired the last 13 batters that he faced. Other than his two run first inning,Maholm pitched very well and considering his performance thus far,he deserves a 3-1 record more than the inverse record. 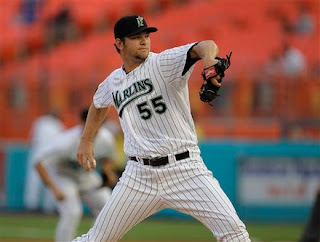 2) Brandon Wood started both games playing third against Washington and short against the Giants. Wood knocked in the first two Pirate runs with a double into the gap,but his first at bat was similar as the ball was ripped to the same spot,but the Giants were playing Wood to the gap and made the catch. 3) The claiming of Wood has been somewhat controversial to some Pirate fans and I am on the fence on Wood. I think he still has potential and is worth a flier especially on a team with Ronny Cedeno on it,but I am strongly against yesterday's claim of Dodger outfielder Xavier Paul. 4) The fourth inning rain delay might have meant the difference in the game as John Lannan looked to be out of sorts after the delay.A walk to Steve Pearce was followed by the game tying double by Wood. 5) Last night's loss was a tough one as Charlie Morton bounced back from his previous start and pitched very well. Morton deserved the win with allowing just one run over six innings and left the game with the lead. 6) Evan Meek must have issues that the public does not know about. Meek looks more like the wild Rule 5 version than the All-Star of last season. Meek's control issues make me think there is more to his "stiffening" of earlier this season than has been reported. 7) The winning run scored by Darren (I'm not signing that Bowman) Ford on a grounder to a drawn in Neil Walker comes down to this-Walker is still learning second. I am not making excuses for Walker,his glance and resulting soft toss to first allowed Ford to have the opportunity to score,but he is learning still on the job. 8) I spoke about Xavier Paul being claimed earlier and that I wasn't thrilled,but more because either a possibly productive player would leave his second team without getting a true chance (John Bowker) or a hard working player that does nothing but bust his hump gets sent down to AAA (Steve Pearce). 9) Jameson Taillon makes his pro debut tonight in Charleston with Low A West Virginia against,you guessed it-Bryce Harper and the Hagerstown Suns. Wish there were some TV available for this one. Harper has been on a tear of late and here is hoping that he keeps up the sizzling pace! I will be back later with the Browns preview for sure. I have plans tomorrow so I may have do another two game combo post on the Wed and Thursday games against the Giants,but count on a post tomorrow on the newest member of the Cleveland Browns! The Pittsburgh Pirates scored a run in the first,but a three run homer by Washington's Michael Morse erased the lead in the third inning and never looked back in a 6-3 Nationals win. Kevin Correia allowed five of the runs in a four and two thirds innings outing and fell to 3-2 on the season. The series ends today with a makeup of Friday's rainout. 1) The only high point of Kevin Correia's day was his three up three down first inning. 2) Nice job by Daniel McCutchen,who has yet to allow a run in his six appearances thus far and picked Danny Espinoza off first base to boot. 3) Andrew McCutchen was gunned down at the plate by Jayson Werth for the final out of the game. I thought McCutchen looked safe,but a bigger question is why McCutchen was sent at all? 4) Clint Hurdle must have been impressed with Jeff Karstens on Saturday as the Pirates boss has given Karstens a chance for more starts until Ross Ohlendorf returns from injury. Not sure how this plays out long term,but I am not outraged with it. 5) The sparse crowd of under 10,000 booed Adam LaRoche consistently,who then responded with a long homer. Pittsburgh drilled Washington 7-2 after a rain delay caused the game to start over an hour late. Therefore,I didn't see the game. Jeff Karstens improved to 2-0 allowing both runs over six plus innings. Since I don't have much to say about a game that I didn't see,I figured today might be a slow day. I found my topic in a Shell station of all places. The Lovely Cherie has been a couponer (?) for years. When you make what I do,it becomes almost a must,but the recent TLC show based on couponing,we decided to step it up a bit with the Sunday paper. Usually, I buy the Washington Post as the least of three evils. The Post at least has an interesting political section,which is more than I can say for the Baltimore Sun or the local entry-the Hagerstown Herald Mail. If I am going to read a sports section based on teams I don't root for,the other portions of the paper will affect my buying decision. This article caught my eye and I wanted to link to it. I understand about filling Sunday copy space and this is an easy layup of an article to write,but the writer writes it from the viewpoint that most (not all) are coming at this from the chance to make money off Bryce Harper and with many that indeed is the case. The author did at least talk to two owners of sports memorabilia shops and was able to get this point across from talking to them-IF you think you are going a make a mint off Bryce Harper signing something for you from a night at the Muni,you deserve what you are about to get. In the sales market,the unauthenticated item is worth pennies on the dollar with the larger amount of fake signatures of sports stars. All a buyer has is your word that Bryce Harper signed your item, and unless you are known to the buyer,that word doesn't mean much. The closest player of similar hype locally was Matt Wieters,when he was a Frederick Key and he has been a disappointment with the Orioles,so these "speculators" should keep that in mind. 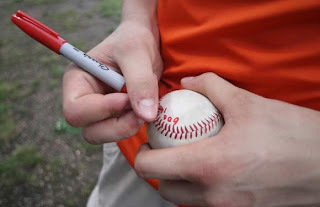 The worst part is the people that know little of the game other than the hype machine and have to have "something" of the latest "in thing",I have no idea why a non baseball fan would want a autograph of someone they don't know. I would compare it to me going to the ballet and wanting a signature of their top dancer. It may be worth a lot to a ballet fan,but eventually it will be of little value to me. The worst part of the article is in the paper itself and is not available in the online version. Two columns about autographing etiquette and dealing with value. I wish the author would have asked me or another regular collector on this,because many of the "HarperMania" fans sure are lacking in the first and have little clue on the latter. What those two columns have done is encourage every dum dum that reads today's Herald-Mail to come out and take a shot at the Hagerstown Suns version of the lottery. I have avoided writing about the Hagerstown Suns thus far. The inexperienced staff needs a chance to prove themselves and thus far,the staff has been friendly and open to fixing mistakes,so thus far I am pleased in general with their attempts to deal with errors and the guys in the ticket booth have been very nice in a huge change over last season's ticket department. However,I do need to comment on this because in an era of near four dollar a gallon gas,price gouging is everywhere and apparently on one topic,the team is joining in. Last years Hagerstown team set was a high 15 dollars,when most teams sell for between 8-10. The Suns did move all of their sets and the secondary market shows over double that. In 2010,when Stephen Strasburg was all the rage,the Harrisburg Senators chose volume over high prices as they got their set out blazing fast and charged just five bucks,which is well below the average team set cost. Harrisburg valued their customers and collectors and made plenty of money anyway. The Hagerstown Suns are charging TWENTY TWO dollars for their 2011 team set. No word on amount being printed,but this is price gouging at its best or worst. I attempted to pre-order one (I usually order three,two going to out of town friends) in the team shop last night,but I was told that I could only do that online only. Upon seeing the listing,sales tax was added (that's fine,I would pay that at the park anyway),but an added 6.95 shipping cost for sending a package that will cost 1.50 to send about a mile and a half to my house! I want to pre-order so that I am sure to have one even at the oppressive cost,but 30.49? This is not only unfair to the consumer/collector such as me,it delivers a blow that is currently killing baseball cards to the future generation in the mainstream-Too expensive for kids to afford. Few kids are going to pay 22 dollars and tax for a team set,Bryce Harper or not,let alone 30.49! And that number dwindles down,if Harper is gone from the Hub City by the time the set is released. I like much of what is going on with the Suns as far as customer relations thus far,but this is a huge gaffe'. Rained out last night,the Pittsburgh Pirates will attempt to get tonight's game against the Washington Nationals in,even with further rain in the forecast. The scheduled starters remain the same with Jeff Karstens against Livan Hernandez. There was some Pirates news on the day as the Pirates did exercise their waiver claim on shortstop Brandon Wood and added the former Angel to the roster. To make space,the team designated Josh Rodriguez for assignment. The team will have ten days to possibly work out a trade with another team or clear waivers. If Rodriguez clears waivers,Pittsburgh must work out a trade with Cleveland or be forced to offer him back to the Tribe for a return of $25,000. Wood was considered to be one of the top prospects in the game as recently as 2008,but a inability to avoid strikeouts,an average that has never gotten over .200 in his major league trials and an OPS that has never sniffed a well below average .600 has dimmed his prospects immensely. Clint Hurdle's comments yesterday seem to indicate that he plans on using Wood in a similar role as Rodriguez,including playing Wood at second base,a position that he has never played. Hurdle's background is as a hitting instructor,so I can see some value in trying to fix Wood and the cost was minimal,but if the thoughts are to use Wood as a utilityman,Rodriguez seems to be a better fit in that role. If the idea is to give Wood a year to see if he can resuscitate his career by replacing Ronny Cedeno,I am more understanding of the plan. I am dubious of it working,but I can see where they are coming from. Rodriguez did look overmatched at the plate a bit,but how much can you really judge from fourteen plate appearances? Rodriguez's fourteen appearances were over seven games in which just three of those were starts. All and all,I don't really see much to excited over or about. Am I pumped about the addition of Brandon Wood? Not really as nothing of his MLB efforts have proven to be worth being thrilled over? Am I upset about bringing Wood in? Not really,when you consider the cost of the waiver claim and the chance of losing Rodriguez,who was not really being given much of a chance anyway to play,the price does not seem oppressive. The Pittsburgh did manage to score a few runs,five of them in fact. Pedro Alvarez's first homer of the season even gave the Pirates a lead for the first time since Cincinnati,but Losing pitcher James McDonald (0-2) allowed eight runs in the second and third innings and it was garbage time from there as Florida finished the sweep off with a 9-5 win. Pittsburgh returns home to PNC Park tonight for a three game series against Washington. 1) We mentioned yesterday that we thought Pedro Alvarez might be showing signs of breaking loose and last night Alvarez did just that as besides the long homer in the second inning,Alvarez singled and doubled. 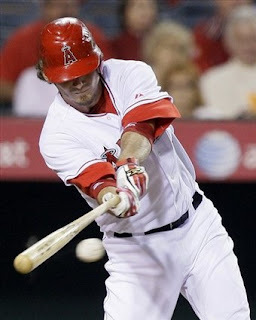 This team needs the lefty slugger to get on track and hopefully last night was the start. 2) James McDonald looked great in the first inning. He fanned Hanley Ramirez with a terrific curve for strike three,but the second was totally different. Two walks of the first three batters and a fat first pitch fastball to Scott Cousins left the yard quickly. The first career homer for Cousins and the Pirates never were that close again. McDonald simply has not pitched well this season,although he has had spots of work in each game,none have been a totally strong effort. 3) Not much else to say about the offense as other than Alvarez,no Pirate had more than one hit and just four of those.This was just a bad series and a disappointing one after some good play against the Reds. 4) Jeff Karstens gets the start tonight,but the big question is whether Karstens starts again on the next night the rotation spot comes around again? Much of that depends on tonight's game,but even with a good game,Brad Lincoln and Brian Burres still could be in the mix. 5) The Angels waived one time huge prospect Brandon Wood and the Pirates are rumored to be interested in claiming him.Wood has had major issues with strikeouts and my question is this-can this time afford to carry two shortstops? I doubt that Ronny Cedeno would be released or sent down to make space and Josh Rodriguez would have to at least be offered back to Cleveland,if they wanted to send him down. For the second time in two nights,the Florida Marlins dropped a 6-0 loss on the Pittsburgh Pirates. Charlie Morton fell to 2-1 after allowing all six runs over five innings. The series continues tonight at 7;10 in Miami. 1) This game began and ended on one play-a Chris Coghlan tapper to Neil Walker that should have ended the inning. Instead Walker hesitated with both Charlie Morton and Lyle Overbay near the bag on which one to throw to. The hesitation turned an inning ending out into two runs scoring on the play and by the end of the inning,this one was decided. 2) However,the inning never gets that far IF Morton does not walk the pitcher with two outs and two on base. No excuse in that situation for anything other than here is the fastball-good luck. 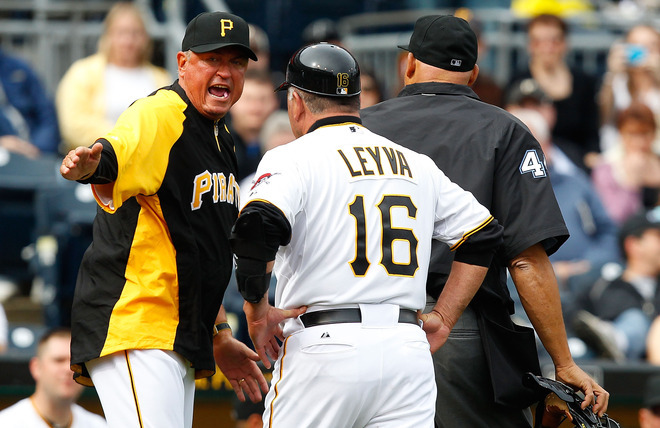 3) Jose Tabata moved to center for the evening as Andrew McCutchen left the team to return home with personal issues. 4) Just five hits for the Pirates and nine over two games. That shows good pitching,which Josh Johnson and Ricky Nolasco can provide and some weak hitting,which the Pirates are also available to provide on a consistent basis. 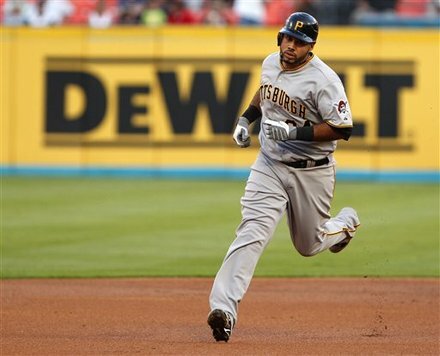 5) Pedro Alvarez still is slumping,but he was robbed twice last night on hard hit shots. Alvarez might be sitting on a hot streak. 6) The Pirates added three pitchers to the system. yesterday. Garrett Olson cleared waivers and was sent to Indianapolis,while recently released former Met Blaine Boyer and former Florida first rounder Brett Sinkbeil were signed to minor league deals. Sinkbeil's name just came up last night as a member of the all first round rotation at Greensboro that hit Hagerstown a few years back. The best pitcher you don't know. There are names that are far bigger than Josh Johnson in the National League,but in performance he does not have to take a backseat to any of them and pitching in fan lacking Miami,Johnson does not always enter the discussion when elite pitchers are discussed. The Pirates ran into Johnson last night and came out worse for the encounter as Johnson allowed just two hits over seven innings in a 6-0 Marlins win. Only a Garrett Jones single dented Johnson from the Pirates starters as John Bowker's pinch hit single was the other hit. Paul Maholm allowed all six runs in less than four innings to fall to 0-3 and inflate his ERA as well. The series continues tonight at 7:10. 1) Josh Johnson was just overwhelming last night. The Pirates had no chance against Johnson,his strike three curve on Andrew McCutchen that completed a three K inning was so devastating that I had the same chance of hitting it as McCutchen-which is to say-Zero. Josh Johnson is what Pirates fans hope that Jameson Tallion becomes-A hard throwing,top of the rotation starter that can take the ball against any team and any opposing starter and give you confidence that you are going to win. 2) Nice crowd in Florida last night. Looked to be about 4-5,000 and by ratio when you consider the size of whatever it is the stadium there is named this week,the crowd looked to be pretty similar to those 400 fan nights for the Hagerstown Suns at the Muni. How the team managed to get a new stadium out of the area when you consider the low attendance and lack of places to threaten to move to is one of the great unanswered questions of our time. Maybe the Suns should hire that person/persons as a consultant for a replacement of the Muni!? 3) Paul Maholm was not sharp last night at all. The one strength that the lefty has is that he usually is around the plate and three walks in less than four innings is not the norm. The killer was Maholm walking in a run by walking Hanley Ramirez,who is not exactly known for his plate patience. 4) Maholm did give up two runs before the fourth on a two on,two out single to Josh Johnson off a curve that he later admitted he should not have thrown. Hindsight is always 20/20,but facing the pitcher,I would rather try to get a fastball by them more often than not. 5) It was mop up action,but give Mike Crotta,Daniel McCutchen and Joe Beimel credit for not allowing this to get really ugly as they allowed just two hits and zero runs after Maholm left the game. Time for the signing front for the first few weeks of the season,the mailbag and some terrific help from my friends. I did the Hagerstown Suns workout day and got a few of the new Suns,most notably Taylor Jordan and Jason Martinson,who signed their NY/Penn top prospect cards and Martinson added his Bowman and Topps debut as well. Former player and Davey Johnson signed two as well,Johnson is always such a class act. I haven't really done the Suns other than that so far as the team is tough to get close to with Harpermania runnin' wild! A pretty good day on Wednesday with the Lakewood Blue Claws as I got all the team that was there. Notables included Zach Collier (finally his SAL after two years of injuries),Domingo Santana,Jesse Biddle and Bryan Morgado. Two trips to Frederick hit the Myrtle Beach Pelicans and their new parent club in Texas along with the Salem Red Sox. The Pelicans were pretty good with notables being third baseman Michael Olt,pitcher Robbie Ross and first round pick Barrett Loux,who has yet to have a card,but signed a blank for me. Salem was what it usually is for Red Sox appearances-busy. I didnt get everyone,but I did get some.Kendall Volz was super nice in signing three cards and chatting a bit. Derrick Gibson and Zach Gentile were as good as last year and signed whatever you had as was Shannon Wilkerson,who was injured last season in Greenville's visit to Hagerstown. Kolbrin Vitek signed two for everyone and has a distinctive capital V for his signature. To Tom O'Brien for his getting Drew Storen to sign four missing cards for me. 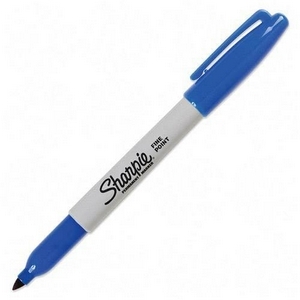 And to Mark Bailey for his HUGE help with the Devils this season! Mark did an amazing job landing Zach Parise,Ilya Kovalchuk,Patrik Elias,Larry Robinson,Travis Zajac,David Clarkson and so many more from the team. Mark also was able to get former Devils captain and rumored candidate for the Devils head coaching job Kirk Muller for me. The mailbag has been rolling them up with some cool stuff listed below. Time to clean the inbox with a few items of note. Starting off fast,I attended yesterday's Hagerstown Suns game against Lakewood and found the crowd to be pretty loud and enthusiastic. I have been asked by many people on my opinions on the new Suns and Bryce Harper and I have decided to give them time to establish themselves. As those of you that have been here for a long time know,when the time is right-I won't hold back-that I can promise you! Most of the front office is new and inexperienced,so mistakes will be made,but one mistake that I wonder about is one that I was told privately. The team is supposedly not allowing re-entry to the park,although I re-entered yesterday without an issue. I would have no idea why this would be in effect,but I am going to guess that this is a issue that was a snap judgement and not well thought out. Former Iowa State wrestling coach as well as a coach of the US National team,Bobby Douglas has concerns about the future of American wrestling. Douglas is watching a sport that is dying at the major college level and the American influence on the international level is waning as well. Douglas offers one tip to help the American grapplers-a rules tweak to the high school rulebook to more closely resemble the International game-more back points and penalizing grapplers for going out of bounds to name just two. Wright Thompson is the best writer that ESPN has and I don't think that anyone else is in the discussion for the honor. Thompson delivers another classic with Holy Ground,a story about his late father and the Masters at Augusta National. If this doesn't at least make you think of your father or call Dad up,I'll be surprised. In Lou We Trust has a great breakdown on the Devils situation with their own free agents over the off season. Devils GM Lou Lamoriello has an interview with Fire and Ice that discusses the past season,the off season and some thoughts on the upcoming draft. The Devils also signed free agent and All-American goaltender Keith Kirkland from Union College to add to the goalie depth in the system to help with the inevitable departure of Martin Brodeur. 2.9 Million for history as a Russian businessman bought Vostok 3KA-2 and plans to return it to Russia for placement in a space museum,but hold everything-it may take a while for it to get it back to Russia as the United State has it classified as a "Space Object" and has tons of red tape to get through. Vostok was the final "Space Object" sent up by the Soviets before the first manned spaceflight by Yuri Gagarin and carried a dog and a human sized mannequin. Battlin' Bob sends us this video looking at Joe Tait and the Miracle of Richfield. One thing that I never understood about the Richfield Coliseum then was why a team with wine and gold for colors used a floor with light blue trim. Still don't know about that one. And finally another daytime dynasty falls as ABC announced the cancellation of daytime dramas All My Children and One Life to Live. AMC will end its run in September,while OLTL fans get a few extra months of their show as it gets the axe in January of 2012. In its place will be two shows called "the Chew" and "the Revolution". The Chew with chef Mario Batali is the type of desperately needed show that is made only twenty other times on about twelve cable networks and the Revolution is more reality TV claptrap following someone trying to lose weight. I feel a certain amount of attachment to these two shows along with CBS's recent cancellation of Guiding Light. My beloved great aunt Edna lived for these three shows and growing up before the cable revolution,one couldn't help but know what was going on the show living in my house. I haven't watched them in years,but they will be missed because they just make me always think about a wonderful and important person in my life. And points to two groups for standing up for the Soap fans. 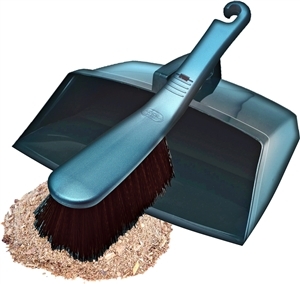 Hoover Vacuums for pulling all ABC advertising for their decision and to fans that will attempt to hammer ABC where it hits them worst-rating and dollars by boycotting their cash cow Dancing with the Stars both by watching and voting. Good for both of you and a word of advice to groups attempting to save these shows-Don't stop. Hammer them until the day they are off the air,ABC is counting on a short term backlash and then dwindling interest from media. The title line is very true,especially when the Pittsburgh Pirates actually won three of four in Cincinnati from the Reds,but I have already written about the first game of the series. Last night's 9-3 win by Kevin Correia lifted him to 3-1 on the season with a complete game outing. On Sunday,Pittsburgh took a 4-0 first inning lead,blew the lead and then rallied in the eighth inning for a 7-6 win.Chris Resop was the winner (1-0) with Joel Hanrahan notching save number five. Pirate longballs to Garrett Jones (3),Andrew McCutchen (3) and Jose Tabata (3). Saturday afternoon was a different story as the Reds did the walloping with a 11-2 demolition of the Bucs. James McDonald was the loser in the game,falling to 0-1 on the season. I am going to offer some thoughts on the series in general,especially since I missed the Sat.loss on the series and then use the rest of the day (since it appears that rain will likely cancel the Hickory-Hagerstown game tonight) to catch up on the promised posts and have things back on track during our busiest few months of the season. 1) Kevin Correia has far exceeded my expectations thus far this season..Correia did have personal issues with the Padres last season and I thought that was used as an excuse for a fading player. 2) Andrew McCutchen and Jose Tabata started Sunday's win with consecutive homers. That is just the third time in Pirate history that the feat had been accomplished,I would have guessed that figure would have been a little higher than that. 3) I was screaming at the TV,Sunday with the lead run on third in the eighth inning,Ronny Cedeno dropped down a bunt that the Reds threw Garrett Jones out at the plate by a mile on. I was upset on Clint Hurdle for such a boneheaded call,but it turns out Cedeno did it on his own! The stupidity of that was unreal. 4) More Cedeno-Same game-Cedeno attempts to move from first to third on a sharply hit single by Andrew McCutchen.Thrown out by a mile inning over. Whether that was a Cedeno decision or not,another outcome that didn't have to occur. 5) My feelings on Cedeno are strong and Rule 5 draftee Josh Rodriguez has looked overmatched at the plate,but I would not be opposed to a 3 game starting role for Rodriguez at short to allow the game to slow down a bit for him. This also shows Mr.Cedeno that you cannot make dumb mistake after dumb mistake and not pay for them. 6) With just a few starts for each rotation member,the disappointment thus far has to be James McDonald. McDonald has struggled with command and both starts has been failed by one bad inning. I would not think his spot is threatened for now with Ross Ohlendorf on the DL,but McDonald's performance thus far is of mild concern. 7) The underachiever with the sticks has to be Pedro Alvarez with an average under .200. I am disappointed as well,but keep in mind that the Vanderbilt product has struggled in his starts in each of his three season in pro baseball. 8) The Pirate infield defense is still a huge work in progress as Steve Pearce showed yesterday with his overthrow on a routine play (an awful throw). Putting Pearce aside,the regular four infielders (Overbay,Walker,Cedeno and Alvarez) have already committed eleven errors on the season between them. A pretty high number for a supposedly improved defensive group. 9) The more that I watch Jose Tabata,the more I think he was given a bad break by being a Yankee prospect. Yankee prospects are always overhyped at the lower levels and then knocked around as they move up in the system. Tabata was 18 when he played in the SAL,and although Charleston did not play here that season,the rap was immaturity. That may have been the case then,but I really like Tabata's development as a player and that might not hae happened as a Yankee. 10) Reds pitcher Mike Leake (winning pitcher on Saturday) was arrested at Macy's for shoplifting shirts before Monday's game. Leake may not be rich by MLB standards,but he makes tons more money than you or I and he risks ridicule for four shirts? That he can clearly afford?! Be back later and over the day with plenty-my first game at the Muni for the season,a look at the Pirates-Reds series and maybe an on the signing front or a cleaning of the inbox! Should be a few posts between the next two days! TRS: Are you likely to start 2011 in Chattanooga or is there a chance of starting in AAA? TRS: Any interesting road stories from 2010? If you don't want to name names,that's cool,if you want to tell a funny story. TRS: Were you with Andrew Lambo in Chattanooga when he was dealt to the Pirates.If so did he ask anything of you about what to expect from the Pirates? TRS: What is your off season training like? TRS: Any particular players you train with? 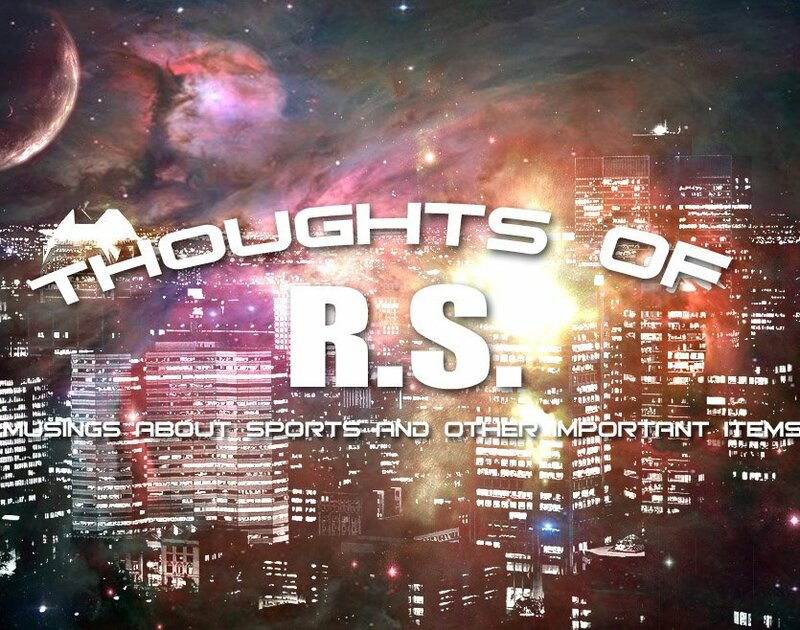 TRS: Do you work with a coach in the off season or stay on your own? 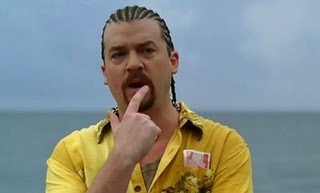 TRS: How much did you enjoy Eastbound and Down's second season? EK: Really liked it but I did miss a few episodes so I'm waiting to buy season 1 and 2 since someone decided to steal my season 1. TRS: The show was set in Mexico,but filmed in Puerto Rico,where you played winter ball,were there similarities? TRS: Finally,if you were casting your friends in baseball for the Eastbound and Down movie-who would play the major roles? EK: Well me or (Brad) Lincoln would be Kenny Powers..My buddy Justin Vaclavik would be Clegg. and just to mess around I'd put (Dan) Moskos as Stevie. I have a few different girls that could fit the part as April. On a night that featured out and out downpours and high winds,Charlie Morton was flawless until allowing a Jay Bruce homer with two outs in the ninth and led the Pirates to a 6-1 win over the Reds in Cincinnati. Morton (2-0) did retire the following batter to finish the contest with the complete game. Neil Walker (3) and Garrett Jones (2) homered to pace the Pittsburgh attack. 1) I still think it is too early to say that the difference in Charlie Morton's mechanics that have been so ballyhooed will be a long term improvement,but one cannot deny that Morton has pitched very well in his three starts this season. I would still like to see a few more strikeouts (Just six in 22 innings),but otherwise you cannot help but be pleased thus far. 2) I would be surprised if this stays this way,but the Pirate strength thus far has been the rotation. Morton has been strong and Kevin Correia has been Morton's equal with the exception of one pitch to Prince Fielder. Paul Maholm has been unlucky thus with his 0-2 record leaving just James McDonald as the least of the rotation and McDonald hasn't been awful for the most part. 3) Three hits and two RBI for Chris Snyder on the evening. Snyder's smash down the third base line was smoked,Snyder is clearly a better defensive catcher than Ryan Doumit and if he can hit just a little bit,the Pirates might not suffer with Snyder as the transitional catcher to Tony Sanchez..
4) Four hits for Jose Tabata,who between his 300+ average and seven steals has been the teams best offensive player,without a doubt thus far. 5) The Pirates activated Joe Beimel before the game and designated Garrett Olson for assignment. I am not a huge Beimel fan,so even though Olson is not a huge loss,I could have done without Joe Beimel.. The Pittsburgh Pirates allowed two runs in the first inning and bookended it with two Milwaukee runs in the ninth as the Pirates lost to Milwaukee 4-1. Paul Maholm was the loser,now at 0-2. The Pirates scored their only run on a wild pitch that came on the next to last pitch of the game.Pittsburgh travels to Cincinnati for a four game set starting tonight..
1) Paul Maholm worked his way out of what could have been a big inning in the first allowing just two runs,but otherwise pitched well enough to win a less than exciting game. 2) Another less than stellar night with the bats with just four hits and only Neil Walker's double for extra bases. 3) How bad is the team hitting? One line-Randy Wolf 10 strikeouts. That should say it all..
4) Pedro Alvarez sat the game since he is in a slump. Steve Pearce played his first game in the bigs at third base as the replacement. 5) Chris Snyder made his season debut behind the plate after being activated before the game. As expected Jason Jaramillo was sent to Indianapolis. 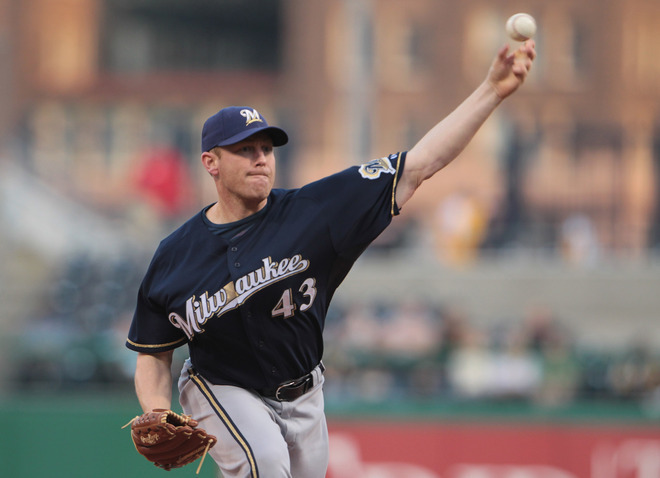 6) Observation-Chris Snyder looks a lot like Ty Wigginton..
7) Nyjer Morgan doubled down the right field line for Milwaukee in the ninth and fell down trying for a triple. Morgan then was tagged out after a rundown. Exactly the type of thing that I wrote about Morgan yesterday. Have a Good Life,Joe Tait! The best play by play man in the NBA finished off a career last night as the Cleveland Cavaliers defeated the Washington Bullets and avoided having the worst record in the league as a result. However,this isn't about the Cleveland Cavaliers on the floor. It is about the man that has brought the team into the homes and vehicles of Ohio and beyond and described the game in a way that was interesting,but not hysterical. One could tell that Joe Tait wanted the Cavaliers to win,but he wasn't afraid to criticize and tell the truth of what was developing on the floor. Joe Tait was not a Johnny Most type homer and he was not as smooth for television as Chick Hearn,but he was the best play by play man in the business. More than any player,coach or owner-Joe Tait was the Cleveland Cavaliers to their fans as it will be Tait's voice that they remember as the soundtrack to the greatest memories in Cavalier history. Tait has been that voice for the entire history of the Cavaliers with the two year exile during the Ted Stepien years being the only exception and that was for being too honest about the way that the franchise was being run. 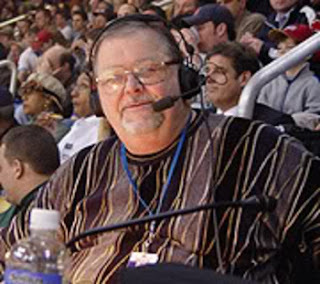 It was Joe Tait's voice on my lost tape (GRRR..) of the Miracle of Richfield,his voice that chronicled the World B.Free years (Dan Gilbert-please retire World's 21 NOW! ),the near misses of the Price,Daugherty and Nance teams of the late 80's and early 90's and the great games of the mayor of South Beach as well. If you are from Ohio or spent time there/near there-Joe Tait is likely the first person that you think of when you think Cleveland basketball. Joe Tait might have the record for most bad basketball games watched as well between the expansion days,the Stepien years and the pre-23 time period,Tait had to watch some pretty horrid teams every night and make the broadcast still entertaining. "WHAM with the right hand!". Listening to some of those makes you almost "see" the action through the eyes of Tait-which is exactly what a good radio play by play man is supposed to do. Tait also is one of the last (could even be the last) of the breed of solo radio announcers without a color analyst. Tait never needed one and I think that having to set another person up might have taken away from his game a bit as well. Joe Tait was the best basketball announcer that I have ever listened to and basketball in Cleveland can never be the same after his retirement from the team last night. The Pittsburgh Pirates bats were totally ineffective against four Milwaukee Brewer pitchers and the Pirates were defeated before what seemed to be next to no fans 6-0 at PNC Park. Kevin Correia allowed six (four earned) runs in six innings in falling to 2-1 on the season. Series concludes tonight at PNC Park before hopefully a few more fans than last night. 1) Kevin Correia actually pitched well. Milwaukee didn't get a hit off of him until the sixth and if Pedro Alvarez fields a Shaun Marcum sac bunt properly,Milwaukee doesn't score at all in the inning. The breaking ball that Prince Fielder hit out hung,but it never should have gotten to that point. 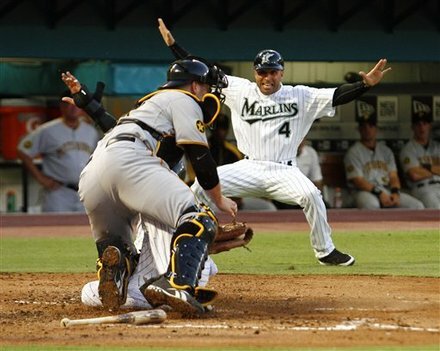 2) The final Milwaukee run should not have scored either as a Shaun Marcum grounder to Ronny Cedeno should have clearly nailed the running Yunesky Betancourt at home,but Cedeno could not get the ball from his glove and had to settle for the out at first. 3) The Pirates were unable to get a runner to third all evening against a team that is not noted for stellar pitching.Pretty rough outing tonight with the sticks. 4) Not sure what the announced crowd was,but if there were 5,000 there,I would be shocked. 5) Watched the Milwaukee feed due to the Penguins game and listened to the Milwaukee announcers rave about Nyjer Morgan's hustle after Morgan crashed into Ryan Doumit at home plate and knocked the ball from Doumit's grasp. The same stuff that Greg Brown and the Washington guys used to feed fans about Morgan until he starts getting picked off base twice a series and misplaying fly balls every other game. 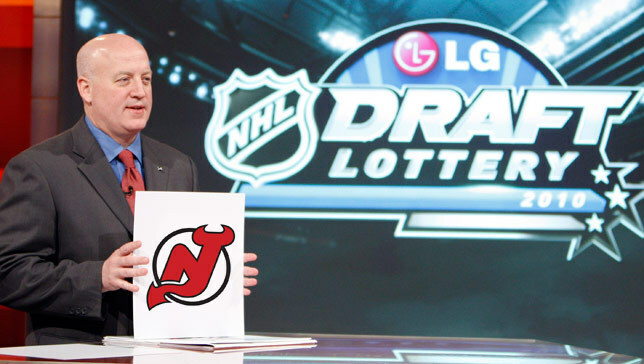 The New Jersey Devils had a less than four percent chance of winning the NHL Draft Lottery held last night. If the lottery was any indication of the luck swinging back in the right direction,things are looking great in Newark. The Devils won the draft lottery in their first ever appearance in the format and moved from eighth to fourth in the first round,so now the team will be able to add a top five level talent to their system. The lottery rules in effect allow a team to jump a maximum of four spots,so that is why New Jersey jumped to only fourth. The unfortunate part of the win over Boston last Sunday is this-Had the Devils lost that game and been the lottery winner,they would have moved to second in the draft. That will likely be the difference in landing Swedish defenseman Adam Larsson and not,but the Devils will be landing a quality prospect the type that they could only dream of adding in the past. The ISS prospect rankings lists centers in three of the top six. positions. If I had to guess on the pick of these players,I would guess that the Devils would be hoping for Larsson to fall to them,but will likely wind up with Sean Couturier,a center that was rated number one in the ISS (International Scouting Service) rankings as recently as December. Back in the next few days with my thoughts on the Devils head coaching search. 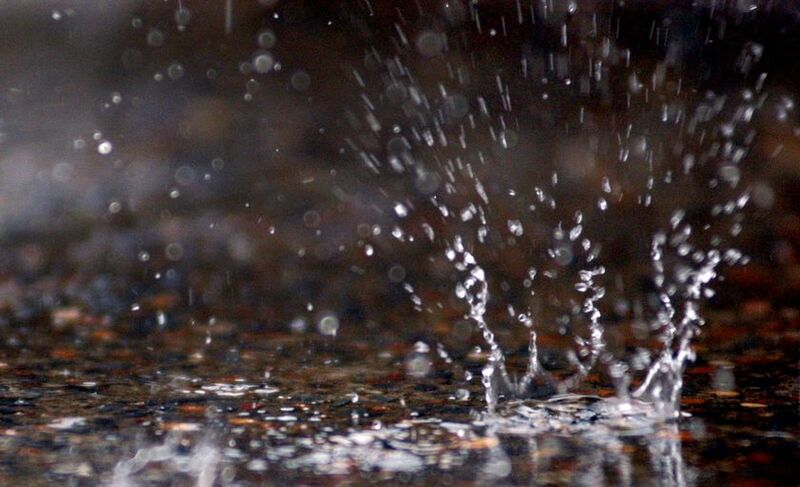 A rainy day and a slow news day brings a chance for this post. Six games that that most have forgotten or never bothered with to start with that have hung around my house forever. Some have even had nicknames dubbed to them. I am sure there are more of these,so Cherie and/or Ryan feel free to let me know on ones that I have missed for future posts. 1) 1986 Independence Bowl-Texas Tech-Ole Miss- "The VCR Bowl"
I have been a Texas Tech football fan since I was six (More on that later),but the college football scene was far different in the 70's and most of the 80's. Television appearances were limited and since Texas Tech was not Texas,the only time I was able to see them play was the occasional bowl appearance. In 1986,I rarely saw Texas Tech football as the Red Raiders had not been in a bowl since 1977 and I was excited to see them get an Independence Bowl bid. However,the Independence was not with ESPN,they used syndication and no station bought it-except for WBFF 45 out of Baltimore,which I couldn't get. Until I discovered that the lovely Cherie,whom I was dating at the time, could pick up WBFF in her parents basement,then I was thrilled. I could tape the game,go out on a date and then watch the game at home late night. One small problem-Cherie refused to let me tape the game because she was afraid the VCR would break. I missed the game and it took me almost 15 years to find a tape of the game. When I did see it,it was nothing special,but still unforgettable here. 2) 1988 Eagles at Giants-"The Dot Finfrock Bowl". I was always a huge Buddy Ryan fan and I loved the Buddy Ryan Eagles with a passion. To the point of borderline insanity. The Eagles were visiting the Bill Parcells Giants for first place at the Meadowlands and the game was televised here,not always the case in Redskins country. Me? Where was I for this classic encounter? At Richardson's restaurant (now defunct) for the Dot Finfrock birthday party. Who was Dot Finfrock? My now deceased grandmother in law,who didn't care much for me to begin with and I am celebrating her birthday? I spent the evening racing back and forth from the table to the restaurant bar to watch the game,ticking off the lovely Cherie and likely everyone else. But I did see the unforgettable ending that saw the game go into overtime with the Eagles attempting a game winning field goal. New York blocked the kick,but the ball never passed the line of scrimmage making it a live ball when Eagles defensive lineman Clyde Simmons scooped up the ball and ran it in for the game winning touchdown. 1988 Eagles at Giants-"The Dot Finfrock Bowl". 3) 1983 North Carolina at Maryland "The Chuck Driesell Game"
Until the ACC ruined the conference with their ridiculous expansion,Maryland basketball ranked right with Ohio State football as huge passions of mine and Maryland always were the underdogs against Dean Smith and the hated North Carolina Tar Heels. Duke was still at the bottom of the league,so UNC was the most hated of all Terrapin foes. Carolina always seemed to find some way to pull a BS win out of the fire and Dean Smith always walked out with that same damn smirk on his face. On this day,Maryland had the ball with seconds remaining and down by one,Lefty Driesell drew the perfect play to zap his nemesis Smith with. Lefty's son, the seldom used reserve Chuck Driesell would cut to the basket for a wide open layup on the inbounds pass and the game winner. No one would be looking for Chuck Driesell to shoot the game winner,not on a team that had Len Bias,Adrian Branch and Ben Coleman on it. It was brilliant and it worked-Chuck was wide open and just as he let the ball go,some guy comes flying out of nowhere to make a block that no human should have been able to make. Problem was it was not a human,it was Michael Jordan. 1983 North Carolina at Maryland-"The Chuck Driesell game"
4) 1986 Orange Bowl-Oklahoma vs Arkansas "The Bad Roads Bowl"
I have mentioned before how much I loved the Barry Switzer Sooners. I loved the wishbone offense and I thought the world of Barry Switzer. The Sooners were right up there with Ohio State and Texas Tech and I saw the Sooners play more than Tech,so I knew more about the program. Oklahoma had won the Big 8 and were taking on Arkansas,which they were heavy favorites. They were such a heavy favorite that I figured I could tape the game and watch a scratchy signal from the only channel that the Lovely Cherie's parents cabin could pick up,as they had taken the family to their retreat in Tomahawk WVA (the less said about this place the better) for the Holidays. A rough drive on a summer day ,a January first snowstorm made the roads likely impassable. I wouldn't know,as I didn't make it there although not without trying. As most of you would know,when you are 17 and in love,small things such as 10 inches of snow don't get in your way often and I was no different. I left my house and the roads were not good,but I made it to the interstate and crossed the WV line. The roads instantly went from bad to life threatening. I had little chance on the interstate and barely made it to the first exit and reluctantly returned home,feeling bad because I could not tell her that I was unable to make it,since the cabin had no phone. The Sooners salvaged the evening with a 42-8 win over the Hogs,as I cashed a wager on the game,which enable me to have quite the enjoyable month with Cherie,but that game still is more notable for me being nuts enough to even try to get to that cabin. 1986 Orange Bowl-Oklahoma vs Arkansas "The Bad Roads Bowl"
5) 1974 Peach Bowl-Texas Tech vs Vanderbilt "The Aunt Wood Game"
I was six years old in 1974 and all the college football rules in effect for TV that I wrote about earlier were in full swing. I visited my favorite of all my grandmother siblings (She had many) Aunt Wood with my grandmother on a holiday week afternoon and watched the Peach Bowl before what seemed to be about 16 fans in Atlanta. I started rooting for the team with the red jerseys and white helmets and never looked back. I adored Aunt Wood and remember her bringing me snacks on a flattened TV tray the whole game as I sat right in front of their floor level TV as I rooted for my new team. Two things about this game. One was that Vanderbilt coach Steve Sloan quit after this game to coach (wait for it) Texas Tech. 1974 Peach Bowl-Texas Tech vs Vanderbilt "The Aunt Wood Game"
6) 1996 ALDS Game 4 Orioles at Indians "The Fall Ball Fiasco"
The 1996 Indians were a juggernaut that crushed all in their path,the Orioles were the wild card team and won two of the first three games of the then five game ALDS. That left the Tribe needing to win both games to advance and I was stuck in the third base box at Halfway Little League coaching Fall Ball. Fall Ball is a no record keeping. playing just to play league that I was coaching in to help out and it was no fun at all. The game creeped into extra innings with all Oriole fans around me,I heard Roberto Alomar's top of the 12th homer that would end the Indians season and sunk to my knees in the coaches box. Cleveland would get revenge the following season when the Orioles had the superior team and the Indians sent them home from the playoffs. 1996 ALDS Game 4 Orioles at Indians "The Fall Ball Fiasco"
Jacques Lemaire told his team before the game that he would not returning as head coach and the media afterwards,but the New Jersey Devils sent Lemaire out with a victory as the Devils dropped the Boston Bruins 3-2 at the Rock. New Jersey goals to Patrik Elias (21),Vladimir Zharkov (2) and Alexander Urbom (1). 1) The Devils brought defenseman Alexander Urbom and forward Adam Henrique up from Albany to play in the meaningless game. 2) Johan Hedberg played the final game and allowed just two goals,the second with just seconds to go in the game. Hedberg was an excellent addition,but will be a free agent in the off season. 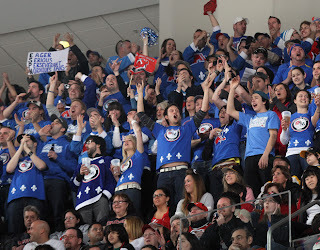 The key question regarding Hedberg is whether or not the Devils are willing to spend a similar amount of money again for a backup goaltender..
3) The Nordique Nation showed up and rocked the Rock as over 1,000 fans from Quebec showed up in Blue.They cheered for an entire minute at the 16:00 mark of each period to mark the 16th year without NHL hockey in Quebec. Some Devils fans didnt like them being there,but I think it was very cool to send the league a message. Besides,it would not be the Devils they would be taking,they deserve a team back and toss one to Winnipeg while you are at it!! 4) Thanks a bunch to Jacques Lemaire for turning this season around in what could have been a franchise low disaster. Lemaire got the team back on track and set things up to succeed for the next coach. More on Lemaire over the next day or two. 5) The win came at a cost as the Devils win caused them to lose two draft spaces behind Atlanta and Columbus. The NHL draft lottery only allows you to move up four spots,so the Devils will be picking most likely in the 8th spot. A lottery win would move them to 4th and a lottery win by a team with a better record would slip them to 9th. In any scenario,the Devils have a rare chance to add a top ten talent to their system. 6) The Dallas Stars loss last night cost the Devils as well. The pick that the team will be getting from Dallas in the Jamie Langenbrunner swap would have been a 2,if the Stars had won a playoff round. Their loss eliminated that hope,so instead it will be a third rounder unless Dallas re-signs Langenbrunner before the draft. A signing such as that would give New Jersey a second rounder. The Pittsburgh Pirates allowed four runs in the first inning,scraped their way back into the game by taking a 5-4 lead and then lost the game in the seventh as Colorado rallied to a 6-5 win at PNC Park. The win gave the Rockies three of the four games of the series. Mike Crotta (0-1)was the loser after allowing all four runners that he faced to reach base. 1) Mike Crotta's lack of control with three walks and a single in his four batters caused the Rockies rally,but just for a second,let's go back further in the inning. James McDonald retired the first two batters easily and allowed a soft seeing eye single to Dexter Fowler between short and third. Immediately,McDonald was gone from the game. I wonder about the "book" sometimes in that situation and that sometimes the "safe" play isn't the smartest play. The hook of Clint Hurdle might have came out a batter too soon with Jonathan Herrera,a non-power threat, at the plate..
2) James McDonald allowed five runs in six and two thirds,but only one after the first. McDonald settled down nicely and one underrated factor on the Pirates rally is that it seemed that the closer the Pirates cut into the lead,the more McDonald threw his curve-his best pitch. 3) Jose Tabata had just one hit,but it was enough to continue his hitting streak. Tabata has reached base in every game thus far. 4) Steve Pearce was called out on strikes on three straight called after a 3-0 count. 5) Joe Beimel has been moved to Indianapolis to continue his rehab. Beimel was a off season signing for his second stint in the Pittsburgh pen. Beimel didnt do much for me the first time around and my hopes are not high for his second tour. 6) Take Jose Tabata and Neil Walker off the stat sheet and no other regular Pirate is hitting higher than Andrew McCutchen's .257. 7) Still no decision on the Ross Ohlendorf replacement. Neal Huntington has "contingency plans" that cover Jeff Karstens,Brad Lincoln and Brian Burres. The New Jersey Devils had a chance to spoil the season for a bitter rival yesterday. 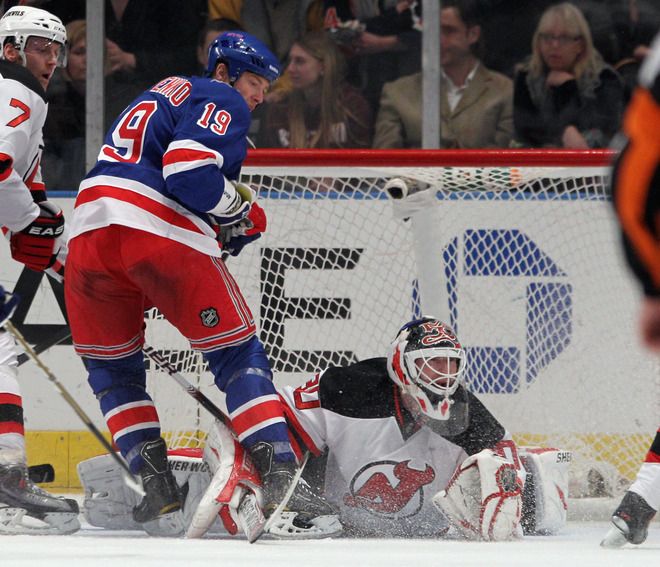 A win for the Devils over the New York Rangers and the Rangers would be sitting at home out of the playoffs. However,a flat second period followed a two goal first by Ilya Kovalchuk (31) and Nick Palmieri (9) and the Rangers used the 5-2 victory and a Carolina loss later in the evening to clinch the final playoff spot in the Eastern Conference. New Jersey finishes their season today at home in a meaningless game against Boston. 1) Martin Brodeur was not sharp.At all. The game changing goal was the goaltender being at the mercy of the poor miscue (coming next),but the other goals cannot be tossed at the feet of anyone else..
2) The goal that tied the game just a minute into the second was simply a huge mistake by the Devils. 3) Since I missed the Toronto game,just a note on Zach Parise,who sat that game and the remainder of the season. No reported issues with the knee,just taking care of business since these games mean so little..
4) Was not thrilled with general lack of fire after the tying goal and would like to see more against Boston today. Just because things are over,doesn't mean that the paying fans deserve half-assed hockey. 5) Devils draft situation is this. A loss in overtime or shootout- 80 pts tied with Atlanta for 6th (Atlanta plays Pittsburgh today,enters game with 80 pts,1 ahead of the Devils). On the signing front-Mail only version!